In the US, approximately 70 percent of states use some form of electronic voting. 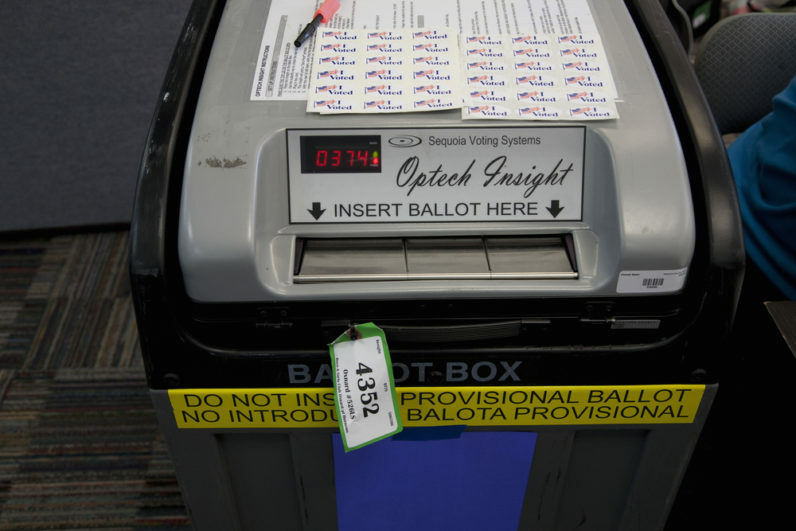 Hacks on these voting machines have been detailed for years, but a CBS report shows that it doesn’t exactly require a security expert to hack the vote. To hack a voting machine, it appears, all you need is a $15 card that you can find in a number of places online. Voters don’t even need to leave the booth in order to vote multiple times. The results go from that machine into a piece of electronics that takes it to the central counting place. That data is not encrypted and that’s vulnerable for manipulation. There’s huge potential. There are so many places in the voting process once it goes electronic that’s vulnerable. According to the Brennan Center for Justice, the biggest reason many of these machines are vulnerable is their age. More than 40 states are using voting machines that are more than a decade old, send unencrypted transmissions and aren’t up-to-date on the latest security protocols. CBS also reported that only 60 percent of states routinely test these machines by auditing post-election paper trails.